“Once pastures have been stockpiled for late fall and winter grazing, how they are utilized can dramatically impact grazing days per acre,” begins Chris Teutsch, forage extension specialist with the University of Kentucky. In a recent UK Forage News article, Teutsch cites Missouri research showing that cows given access to just enough forages to last three days as opposed to 14 days resulted in 40 percent more grazing days per acre. He shares the following tips to enable producers to make the most of their stockpiled forages. Graze pastures that contain warm-season grasses first. Teutsch urges producers to think of pastures as complex systems containing legumes, weedy forbs, and cool- and warm-season grasses. Warm-season grasses should be utilized first as their nutritional value quickly declines in late fall. Graze pastures containing clover next. Although many producers opt for clover monocultures, Teutsch notes that these should be grazed early as they are not as hardy as tall fescue. As a general rule, graze pure or mixed clover pastures prior to cool-season options. 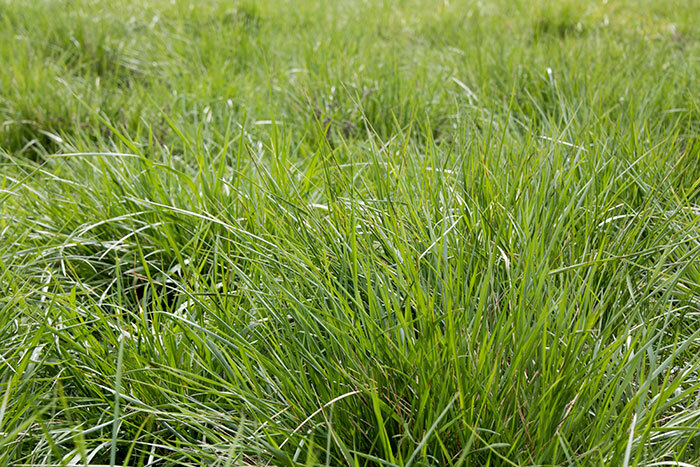 Save pastures with primarily tall fescue for later grazing. Tall fescue maintains nutritive value going into winter, making it ideal for stockpiling, Teutsch adds. Strip graze tall fescue. Also shown in the Missouri study, grazing days can be significantly improved by limiting access to excess forage. Strip grazing, or allotting only enough forage for a specific period of time, commonly utilizes a single, movable strand of electrified wire. While Teutsch says that it could be for any number of days, shorter time periods ensure better utilization. Back fencing isn’t typically needed in the winter as pastures are not actively growing. “When strip grazing, never take your forward fence down until the back fence (new one) is up. If you do, the cows will be on the other side of the pasture,” Teutsch cautions. Teutsch realizes that many producers may shy away at the thought of moving a fence line twice a week, however, he assures that the setup is quick and it’s worth a free day of feed every time the fence is moved. “Is it less work than feeding hay? Probably not less but just different, and the payback is much better,” Teutsch says.